Last year, we set ourselves a challenge: can we help you to help keep kids’ teeth clean? We were overwhelmed by the response to Keep Kids’ Teeth Clean. The aim of the campaign was to get you talking about child oral health, to offer advice and tips that you can share with parents, teachers or guardians, and to be clued in on ways to treat young patients. So, in February 2017, we were delighted to receive support for the campaign from the Irish Society of Dentistry for Children (ISDC), and its then-president Dr Jennifer McCafferty. Speaking to us earlier last year, Dr McCafferty said: ‘Since 1961, our society has been dedicated to promoting good oral health among children and teenagers in Ireland. 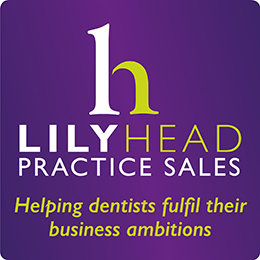 This campaign will provide the entire dental team with lots of practical advice for managing and treating children in their practices. Among them, we had Dr Evelyn Tobin on the complexities of getting kids to brush their teeth, Dr Kathryn Browne on diet and sugar, Dr Anne O’Connell on the topic of mouthguards in sports, Dr Siobhan Lucey discussing weak teeth, as well as many more ISDC members. Improving child oral health does not happen overnight – and certainly, we were not expecting to change the world. That said, it’s the little things that count, and if you took away even one new piece of advice this year when it comes to treating children, then it was a success. Each month, we took on a different topic. We began with first visits and pregnancy, and moved on to toothbrushing, diet and sugar, oral health promotion, mouthguards, behaviour management, weak teeth and molars and special needs care. For advice in this area, we would like to thank Dr Rona Leith and Dr Abigail Moore, who helped us pull together a list of important topics, as well as Dr John Marley, whose consultation was most useful. Additionally, we were delighted to welcome aboard members of the Irish branch of the European Academy of Paediatric Dentistry (EAPD) in our monthly ‘Top tips’ column. Each month, Dr Kirsten FitzGerald, Dr Eleanor McGovern, Dr Aifric Ní Chaollaí and guests presented quick tips on each of these topics for you to take away and use in your practice, be it handing them to patients, sticking them on your staff notice board, or putting them on display for all to see! For this and much more, we’d like to thank the EAPD for their expert advice; we encourage you to make use of their guidance. Thank you to Dr Ruth Cusack, current president of the ISDC, for her input and advice to help keep the campaign relevant to all. 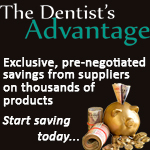 For articles, email hello@irishdentistry.ie. Above all, we were delighted to see support from you, our readers! 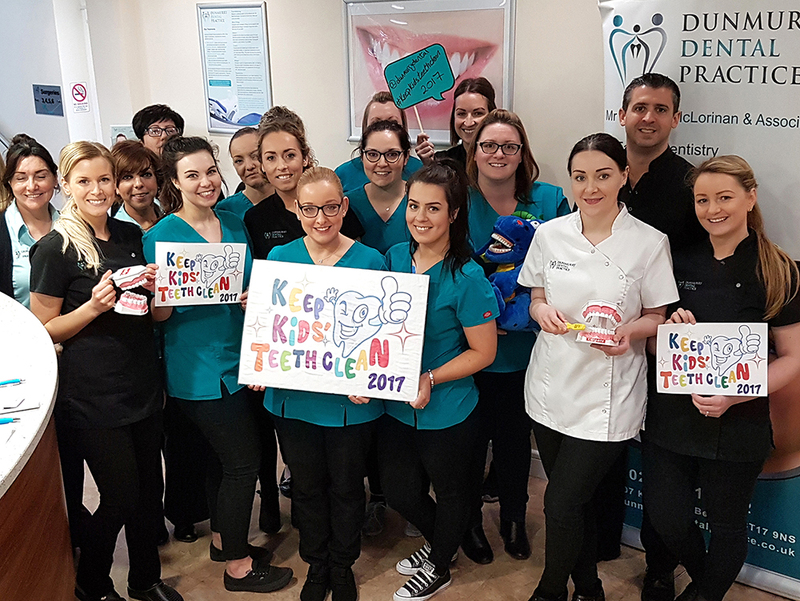 Throughout the year, we’ve been sharing your experiences and using the hashtag #keepkidsteethclean to get social about news and updates in children’s dentistry on Twitter and Facebook. That includes, of course, sharing photos of dental teams up and down the country who have come out in support of Keep Kids’ Teeth Clean. 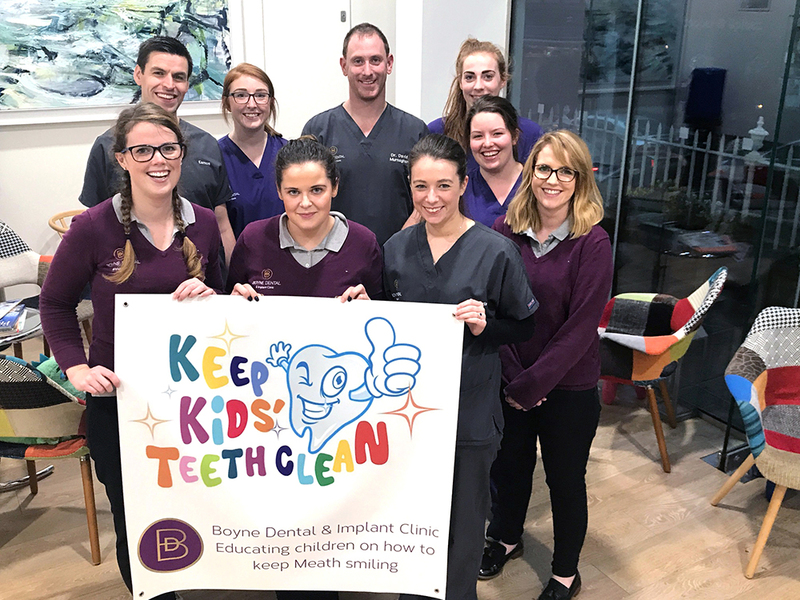 So, to round off a successful year of promoting child oral health, we present a gallery of individuals and teams who are all for keeping children’s teeth happy, clean, and free of decay. 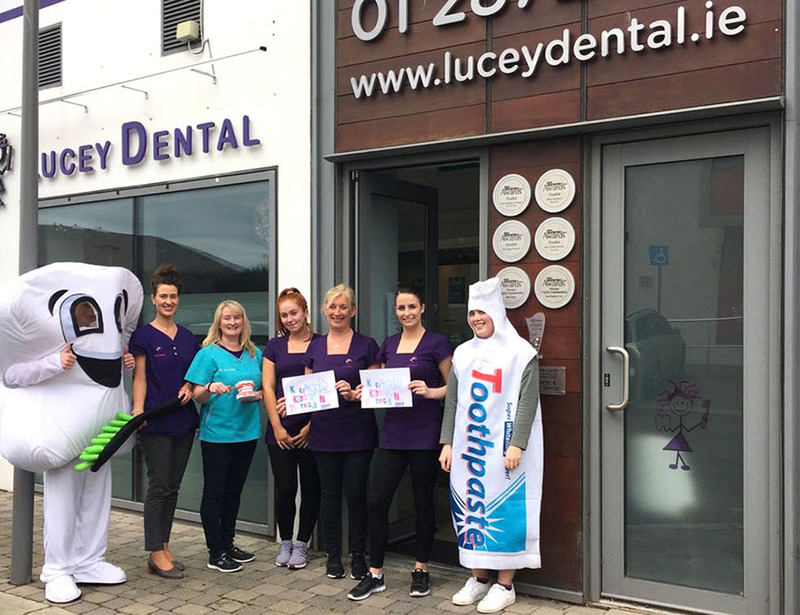 Lucey Dental, one such practice based in Co Wicklow, offered a ‘sweetie swap’ for children around Halloween. On 1 November 2017, the team gave kids €1 for every pound of Halloween candy, encouraging healthy attitudes towards sugar and teeth! The practice also raised money in aid of Chernobyl children. Dunmurry Dental Practice are all smiles for kids’ teeth! Dr Philip McLorinan, dentist at Dunmurry Dental Practice in Northern Ireland, said: ‘As a practice, one of our key objectives for 2017 is to promote kids’ dental health. It is well accepted that kids with good oral hygiene will generally be healthier and happier children than those with dental issues. The practice offers complimentary appointments at its Kids’ Club with an oral hygiene education to inform children (between four and 10 years old) of the benefits of good oral health in a fun way. 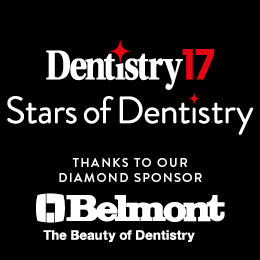 If you want to show your support with a team photo, email us at hello@irishdentistry.ie or drop us a tweet @IrishDentistry. Last year may be over, but our support of good, clean teeth for children is ongoing. Find out more about Irish Dentistry‘s focus on vulnerable patients throughout 2018.